Fifth Avenue in New York City on Easter Sunday in 1913. A famous entrepreneur, investor, and software engineer, Marc Andreessen coined a phrase "software is eating the world". "Software is eating the world, in all sectors. In the future, every company will become a software company." At the start of the 19th century, we could have said that "automobiles are eating the horses." Doesn't sound as cool though, but it's almost literally true. To say that it was a colossal pain would be an understatement. New Yorkers were demanding a solution and wanted it fast! Crazy "techies" of the time were working furiously in auto "startups" to "disrupt" the horse industry and dig themselves out from all that manure. No, they weren't trying to build a better horse that does not defecate. Best minds were working on a novel idea of the century: a cart that can be propelled by an engine. By 1900 there were a small number of automobiles in the entire United States, powered by gas or steam or electricity. 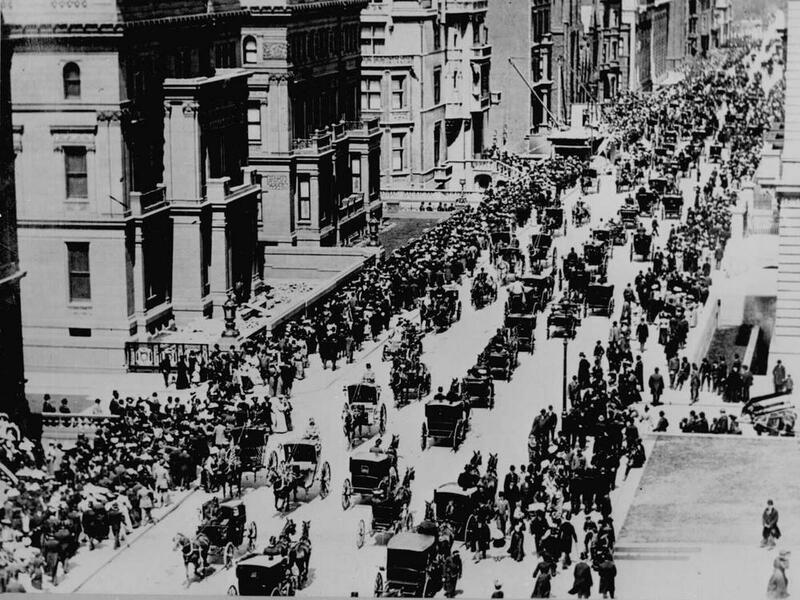 By 1905 there were 23,000 cars in NYC alone. By 1908 there were 100,000 cars, and there were 100,000 horses in NYC. Final horse-drawn tram happened in NYC in 1917. Fifth Avenue in New York City on Easter Sunday in 1900. U.S. Bureau of Public Roads. Photographer unknown. 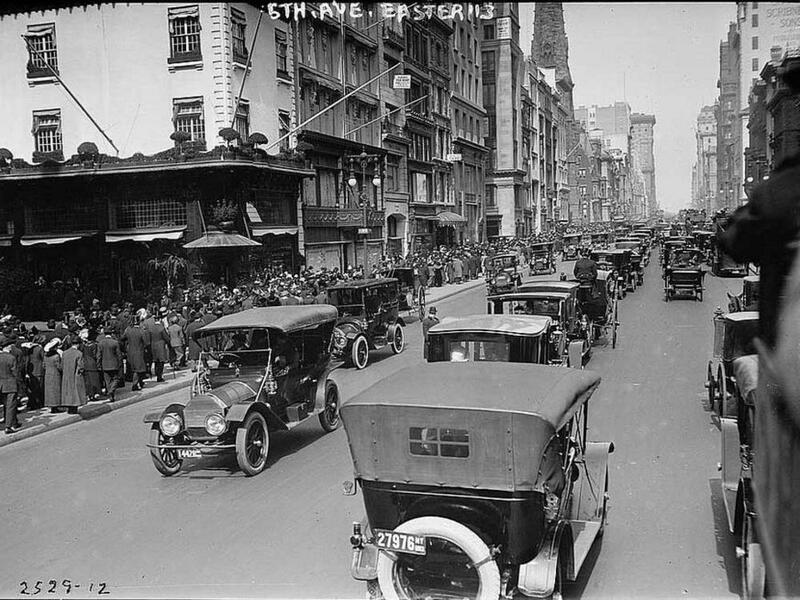 Fifth Avenue in New York City on Easter Sunday in 1913. Photographer unknown. What do you think happened to all of these horses that are now obsolete? Surely they retired on a beach somewhere. The reality of the market, unfortunately, is grim. Most horses were sold to meatpackers and got processed into dog food, bonemeal, leather, and glue. The price of horses reached an all-time low in 1950, and the horse population continued its steady decline until only about 3 million horses could be found in the United States in 1960. But what does it mean when we say that the software is eating the world? The software is replacing old tools and roles, just like cars replaced horses. At the very early days, word processing software replaced typewriters. Humans still operated the software, but it was more efficient and required fewer resources. Today we are seeing software that produces coherent written content without human intervention. Compu-authors write weather reports, financial news, sports outcomes, and other fact-based minutiae. Machine learning-based tools create music and art. Tesla car is often dubbed as a "computer on wheels." It's a battery, a few motors and many lines of code that control the car. The vehicle can drive itself in a limited capacity. Truly an "automobile." Machines that are controlled by software replaced many factory jobs. Now a single computer can do a role of a hundred people, never get tired and work 24/7/365 without demands to unionize. The Third Industrial Revolution started in the late 1950s with the advent of available computing power. Businesses that had a vision and were able to adapt fast to utilize the software effectively ultimately gained a competitive advantage. They were able to save on salaries, reduce operational costs, and scale more quickly. James Bessen, an economist who teaches at Boston University School of Law recently wrote a fascinating paper "The Policy Challenge of Artificial Intelligence" about the Fourth Industrial Revolution. Mr. Bessen argues that investment in proprietary (not off-the-shelf) software is what creates a huge productivity gap today and what sets successful companies apart from the competition. >>> What are you doing to widen the productivity gap in your business or are you still riding a 🐴?